Drupal is a free and open source CMS basically written in PHP and is being used by at least 2.1% of all websites globally, though it offers a sophisticated application programming interface for developers however no programming skills are required for basic installation and administration. Drupal is considered as one of the most powerful content management system for building websites as it is less resource intensive as compared to WordPress and thus can be easily used from a simple blog used by individual users to a content portal used by large corporations. Drupal is one of the most technically advanced content management system and thus you don’t have to worry about upgrading it to a more expensive option. Drupal is easy to customize according to individual needs with the help of many modules and themes readily available. With the help of knowledgeable developer you can also edit the file system and get it customized according to your specific needs. Drupal is open-source and thus can be downloaded and used for free. Drupal is more performant compared to WordPress and Joomla as Drupal pages typically loads faster. Since its initial launch, various versions of Drupal were released to make things better and easier for end users. 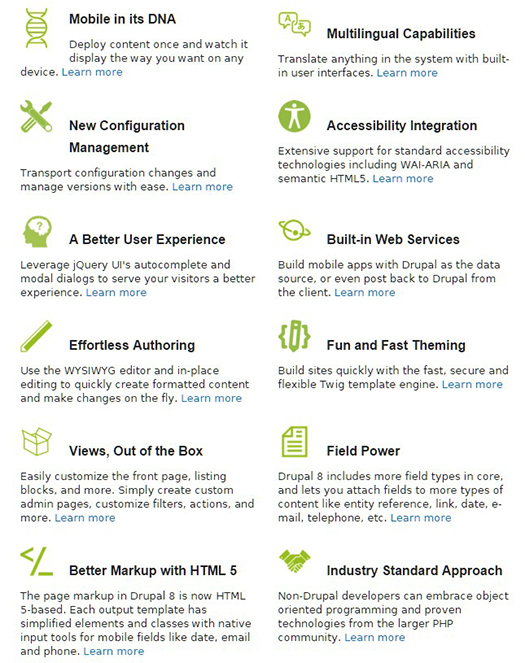 This post highlights the major differences between Drupal7 and Drupal8. I also listed in the References section other excellent posts relating to this topic. I encourage you to check them out. Jack Calder is a PSD to Drupal conversion provider who loves blogging as a hobby. He used to share his knowledge to his followers via blogging. 62 queries in 0.298 seconds.